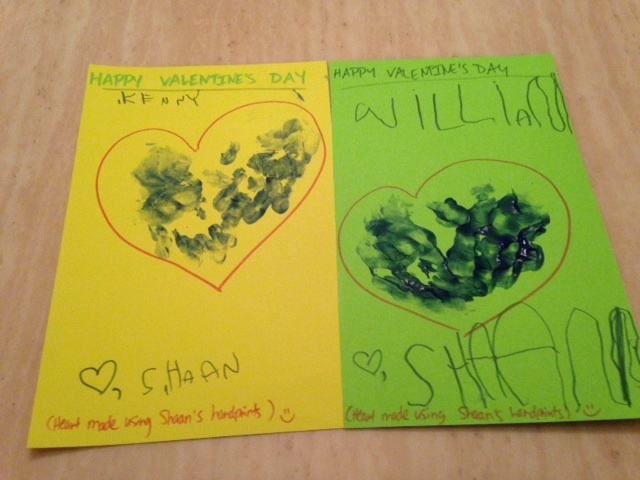 I wrote “Happy Valentine’s Day” at the top, then let Shaan write the children’s names (as best he could) on his own (with me spelling out the names, of course – he’s only 3.5 years old so he doesn’t know how to spell their names yet). I figured this was a good chance to practice writing our letters. 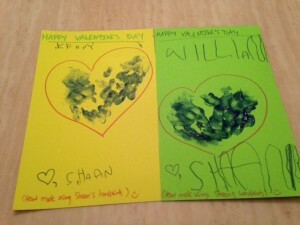 Next, I let him place his hands in fingerpaint and make “hearts” with his handprints. In case there was any confusion as to what the image was, I traced around the handprints to make them look like hearts. 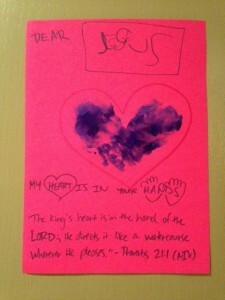 Lastly, I let him sign his own name and I placed a little note explaining that the heart was made using his handprint. I thought they turned out pretty decent – it was definitely a joint effort and hopefully the other students and parents will appreciate the time put into making these cards. 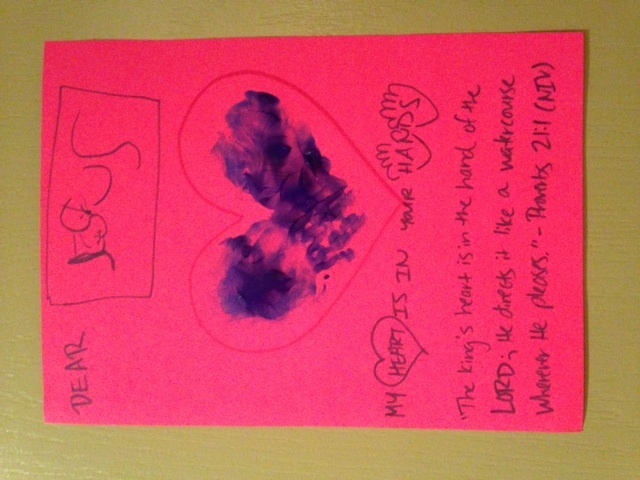 I love tying Scripture into crafts – so it was neat finding a verse that incorporated both “heart” and “hands” since Shaan used his precious little hands to make a heart for Jesus! What Valentine craft ideas have you used before or wanted to use with the children in your life? If you have any special suggestions, please feel free to share!